The life of a child is a promise for the future, but for many children their future is at risk. Christ Child Society volunteers reach out to teach, motivate, clothe and care for children in their communities through the initiative of Challenging Poverty: One Child at a Time. Our 2019 Membership Drive is underway! Our 2019 membership drive is currently underway! 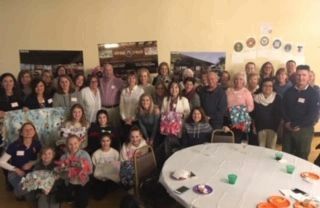 By renewing your membership or becoming a new member you will be directly supporting our programs for children including our layette program, our school supplies program, our tutoring program and uniform scholarship at Our Lady Help of Christians elementary school in East Orange, and our Christ Child Society scholarship. We are excited to continue these programs and more with your help. Thank you for your support! Please arrive 15 minutes early to check in before Mass if you plan to attend it, otherwise we will see you for the luncheon immediately following. *Needed Layette Items: Including, but not limited to, 3 month and 6 month size footed stretchies and baby board books. Another Successful Blankets for Babies Night at the Elks! Thank you to all of our members and friends for stopping by, and chipping in at our Blankets for Babies Night at the Elks on March 21st. We are pleased to announce that the Christ Child Society of Summit has received a Beacon Grant from the Summit Elks Lodge #1246 to subsidize the cost of the fleece for the blankets. We finished up 100 blankets with our friends from the Elks Lodge on Thursday night. Thank you to all the Elks, Christ Child members, and friends and family who helped! The blankets will be included in the layettes we provide to babies in need at Overlook and Morristown hospitals. 9/13 CCS Membership Meeting 9:00 am Lower Memorial Hall; coffee at 8:45. ALL ARE WELCOME! 11/15 CCS Membership Meeting 9:00 am Lower Memorial Hall; coffee at 8:45. ALL ARE WELCOME! 12/7 Home Mass at 8:30 am at the home of Sharon Ertz, 94 Hobart Ave., Summit. Coffee following mass. 1/17 CCS Membership Evening Meeting at 7:00 pm at Sheila Schlageters, 185 Kent Place Blvd., Summit - BRING A FRIEND! NEW MEMBERS WELCOME! 3/25 CCS Members meet at 8:30 am mass at St. Teresas Church. Sit on left, middle of church. 4/25 CCS Member Meeting 9:00 am Lower Memorial Hall; coffee starting at 8:45. New Members Welcome! The Christ Child Society of Summit awards a scholarship to one or more graduating high school seniors each year. Click here for info. 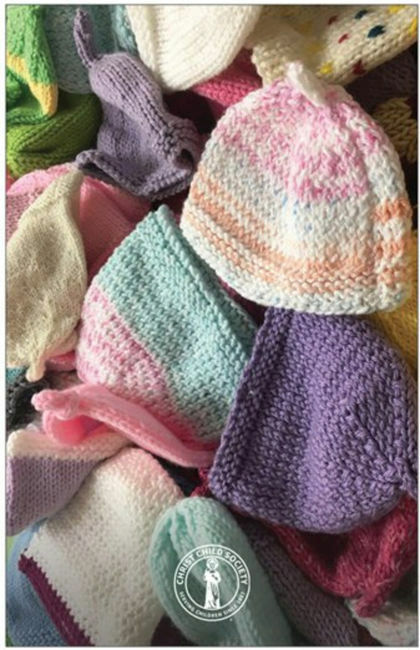 Topic: Baby Shower Recap, School Supplies Drive, OLHC Reading Enrichment Program, Layettes, Knitting and more! 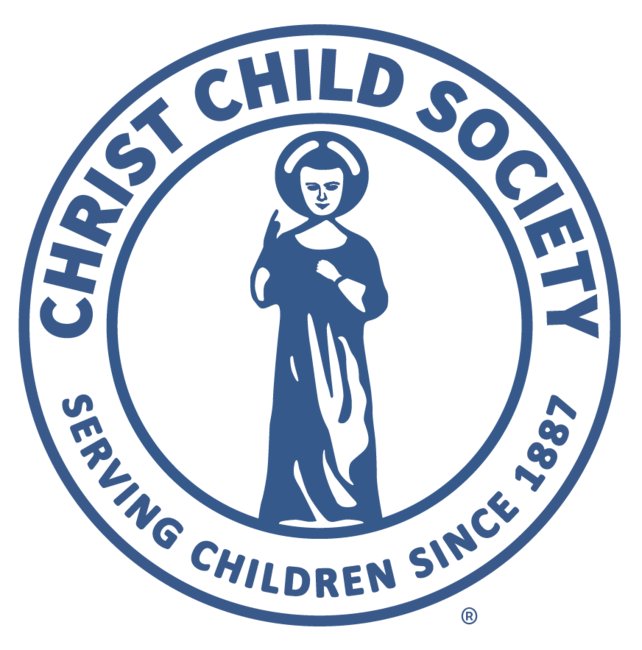 Click here to become a member of the Christ Child Society of Summit and join a group of women dedicated to having a positive and immediate impact on the lives of local children in need. Your dues directly support our programs for children. Make a Difference Through Tutoring! 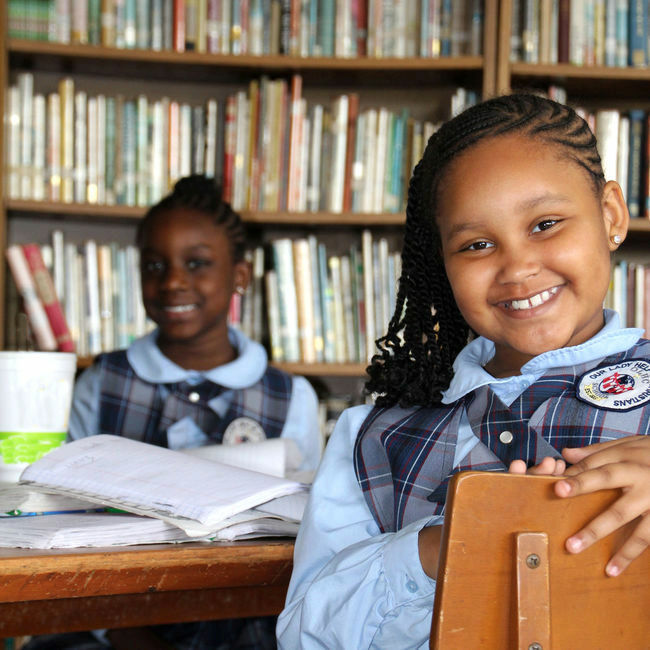 We are beginning our third full year tutoring at Our Lady Help of Christians School in East Orange, NJ! Come with us to tutor students from K through 7th grade for one hour per week. Click here to sign up. Amazon’s new Smile program donates 0.5% of every purchase to the charity of your choice. AmazonSmile is a simple and automatic way for you to support the Christ Child Society Summit every time you shop, at no cost to you. And signing up is a snap. Just click smile.amazon.com, type in Christ Child Society Summit in the search line and choose it. That’s it! Next time you sign onto Amazon, you’ll be presented with a button to shop through AmazonSmile. Click the button and shop as usual. Please take a moment and sign up for AmazonSmile and help us create another financial support for our projects such as our school supplies drive for students and our layette program for babies.